Dealer flips a 9 for 16 and takes a ten and busts. Welcome to Tribal Council. Rev has immunity. I will read the votes. Reminder, you do not want to see your name here. The person receiving the most votes is out of the game. Is there anyone who wishes to play a hidden immunity mask? 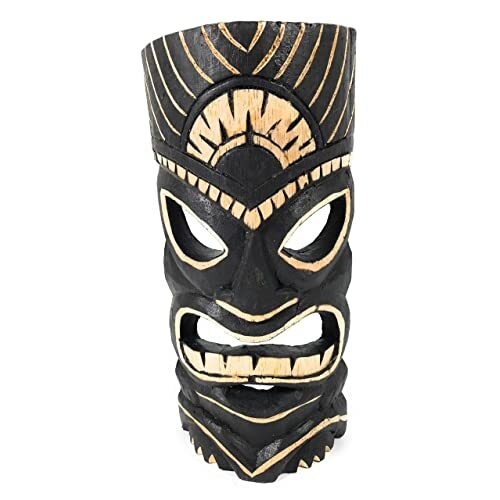 Kdestiny has played a tribal mask. Any vote cast for Kdestiny will not count! That is enough . Kdestiny's tribal mask saves him. BBF joins the jury. The next challenge will go upshortly. Turn based. Final challenge is a game of Mastermind. I will have the code and the 3 remaining players will take turns trying to crack it. The person who cracks it wins immunity and gets to choose who they go against in the finals. Full rules out in a bit. I will tell you in the thread for everyone to see how many pegs you have in the right spot and how many pegs you have that are the right color but in the wrong spot. EX: 1 exactly right, 1 right color wrong spot. Then it will be the next person's turn. Using the previous info they will make a guess. There are 1296 possible combinations. Whoever picks the right code will win immunity. The codes has been sent off to someone else who will keep it secret as well to assure no shenanigans. Last edited by Kneeneighbor; April 10th, 2019 at 2:53 PM. You have 0 completely right, 3 are the right color in the wrong place. You have 1 exactly right, 2 right color wrong spot. Love is a flower, you gotta let it grow. Well I expected this would have lasted longer. Kdestiny wins immunity. He is the only person who needs to vote. Please send me the name of who you wish to vote out. Welcome to Tribal Council. Kdestiny has immunity and is the only one who will vote today. The person receiving the most votes is out of the game. Rev is the final member of our jury. Congrats to our two finalists. I will get things organized today for the final vote. Well played to get here Rev. First part of the finals is to bring back our jury. TO begin each of the two finalists, @Donald and @kdestiny will make an opening statement about why they deserve to win this game. After that each jury member can post a question in the thread directed to one of both of the remaining players. Those players should quote and answer the questions. Once everyone has said their piece the jury members should PM me their vote for who should win the game. Reminder this time you put down the name of the winner. (Edit) I am not sure why the jury is not being tagged. Here we are, and I gotta say it got pretty sketchy down towards the end. I don't want to take up a bunch of time or space as I want to answer any questions. I will say I feel like I played a pretty good game. I was always real with everyone I had spoken to at some point. I did not lie to anyone along the way, and I take pride in that. I don't like surprising anyone unless absolutely needed based on where immunity was. So ask away and I will be straight up with you. I played a strong game during challenges and also outside of it. I hope that the way I have played will be enough to earn your votes. Just a statement to the jury (which wont be my question). You can vote however you like and for whoever you want to, but for the sake of the final two competitors please hear them out and what they have to say, and please don't just vote on popularity. If you can't find your way to vote for someone who voted you out, then fine your decision is already made, but they did work hard and put in a lot of time and effort to make it to the end. The least you can do is hear them out and then make your decision. Once Donald posts his opening statement then the jury may begin their questioning. To be here at the end is crazy. I think it's an example of an underdog making it. I always consider myself an underdog, whether it be in games or life itself, because quite frankly I don't know what I'm doing. I just wing it and hope for the best. And to be in the final means I must have done something right and that gives me great joy. The games were tremendous fun, and I tried planning ahead when I could in each of them. I felt I was always prepared to post, and didn't hold up time. I hope that I added some fun with comments and jokes, etc. It was an enjoyable experience for sure, and I hope you think of me during your vote. @Donald and @kdestiny congrats on being the final two. If there was one decision during the whole game that you would change, what would it be? The one thing I would change would probably be to trust my gut a bit more. I wanted to build a bunch of bridges with other players to try to get into a good spot even though my initial instinct said not to. Granted I got here, but not necessarily the way that was the most ideal. There were moments in the Battleship game that I was going for people, which I get is the object of the game, but I usually want everyone to stay in and have fun for as long as they can. On the flipside, I'm sure they would have gone for me immediately if they had found my spaces. But still, the guilt was certainly there. Who did you think would make the final 2? At what point? The beginning of the game? At the beginning I thought it would be BBF, Fro, Pablo, or kdestiny at the end. If we are talking beginning I would've figured Psycho, Badger, maybe Pablo in it at the end. Question to both guys, it's similar to Pablo's but in reverse. What did you think was your best decision throughout the whole game? Honestly, it was probably the way I won the last challenge. Had I doubled on the wrong color I'm convinced I wouldn't be here now. Signing up for the game During the game itself, I'd have to say trusting the right people when it came to voting. @kdestiny. donald was an ally of mine during the game and never turned against me so I'm inclined to vote for him to win. why should I vote for you instead? Only reason I outed you was because you turned on us and voted out Badger who was OUR ally. We stuck together because we're started on the same tribe. If me voting you out after betraying the trust I thought we had means you vote Donald then so be it. I didn't mean to imply that you betrayed me, although I see how my wording wasn't great and it looks like that's what I was saying. you and I were allies as well, and 'tis true that you only voted against me after the badger ousting, and for that I don't blame you. what I was trying to say was that donald was in fact my first ally, he and I were in it from nearly the start, so that's why my inclination would be to vote for him. I have no issue with you in regard to my exit. in defense of the Badger ousting, I didn't want to do it but Rev ended up holding all the cards after the auction. the auction went by so fast and changed the power structure of the game very dramatically. I still can't believe he got a triple vote for $5, I wish I was online for that because it should have gone for no less than $100 (a full player's budget). but even after all that, I still told badger he was being targeted (did not leave him blindsided) and if he had only played his bus driver item he could have saved himself. it was shocking to read the results there and see that both rev and badger didn't use their items. I wanted the final four to be me, donald, kdestiny and badger. I only jumped ship when I realized the items held by rev/pabs meant they had the numbers to control the game. and I'm glad to see you and Donald in the finals. Rev's condition killer put me off using bus driver. I should've chanced it looking back and at least went out with a bang. Ya I held on to them cuz I'm pretty sure that I had Immunity that vote and was in no risk of being voted out. I knew that and was actually aiming for BBF, but was scared you'd throw it anyway to block it like how Pablo blocked Donald. Plus Fro being traitorous scum helped you guys. Please don't call Fro a traitor. He and I have a very long history playing this game together, including going to the finals at least once if not twice. In my opinion, I'm the traitor for stabbing a good friend in the back. The only people in this world who aren't thieves are lairs, and I guess I'm both, but I'm no hypocrite. Or am I just lying again? You can ask a question if you want first. Just giving time for the rest of the jury to ask questions. If it's for me, you can go right now. Still bitter I didntget more votes. I ran that game. If you are ready to vote you may send it when ever. Whose left to ask a question? Obviously I'm one of them but I want to go as late as possible to ask to see what other questions have already been asked, but don't want to hold the game up either. I didn't really have any questions to ask, so I just went off opening statements and others questions. I'll send my vote once Rev's question has been asked and answered. @Donald What did Kdest do in this game that makes you deserve to win it more than him? I want you to tell me why Donald deserves to beat you and the second you say that he doesn't you're not getting my vote. He has hung in there and has played the game in and out well. I think the reason he deserves it is because he played well outside of the challenges, I don't think he ever rubbed anyone the wrong way where I guess there could be an argument that I did. I thought that was just the nickname you guys gave yourself "team xtreme m"
Down to Donald and kdestiny? ** i guess. I dont know kdestiny that much. Donald i guess. I dont know kdestiny that much. I tried something new and I didn't do too well, I'm glad I tried though. The battleship stuff was fun. I was asked to vote and I did. No need to be a sour Sally about it. And if the vote doesn't fulfill the spirit of the game, ask me to take it back and I will. Not here to ruin the fun, just do what was asked. Last edited by Randolph; April 14th, 2019 at 10:21 PM. I think you should vote how you want. I completely get you checking out of the thread when you got eliminated. There were still so many eliminations to go it wasn't like you were close to the end. I think using the final questions as your only determination of who to vote for is no more valid than voting on which poster you liked more especially if you communicated with them during the game. Creating alliances to potentially get people to vote for you in the final vote is more important then how you answered a question at the end 99% of the time. Also you basically got screwed by me playing the immunity idol that basically no one knew I had. So I even more understand you being frustrated with the game. Choosing who to vote for can be tricky. I just didn't realize the final vote was so complex. My mistake. I will read the stuff tomorrow on my day off and make a vote then. And don't worry Rev, I won't be making another go around in future games, despite your attempts to make it so much fun. Did you give Kdest the immunity idol that he used to knock me out of the game? If so great move by him to secure it, I truly never saw it coming. I'm talking about Randolph. He got eliminated when I used my immunity idol on myself. 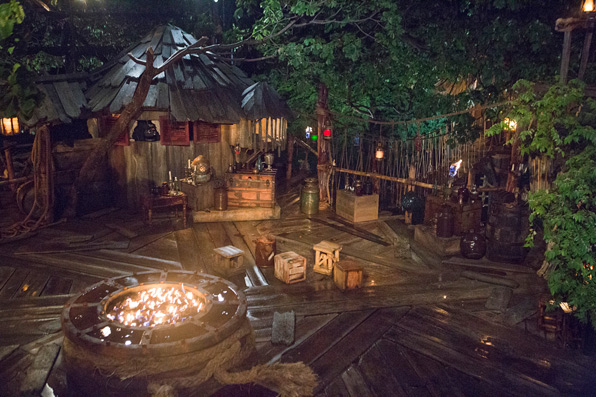 Welcome to the final Tribal Council. Today the person receiving the most vote wins Survivor and $1 million Schrute Bucks. Remember today you want to see you name written down. Congrats to our winner and all who played. I will give my thoughts on some things in the morning. Congrats dude. Glad my drama didn't matter at the end. Congratulations kdes! When I was gone, I'll admit I thought you'd be gone next. You hung in there and kudos for being able to find that mask. That was definitely the game changer. Commiserations Donald, you fought very well and hung in there too. Also big thanks to Knee for organising this. Had a blast and got further than I thought I would. Now in the end it didn’t matter because of how the immunity idols and the immunity challenge shaked out. But REV!!!! We were so close to coming from being the last three of our initial tribe to being the last three left standing. I understand your thinking. But we had a shot to at least have one of us make the end. He made the unfotunate mistake of coming up against me in the final. For I am the greatest single being to ever exist.